Distractions! 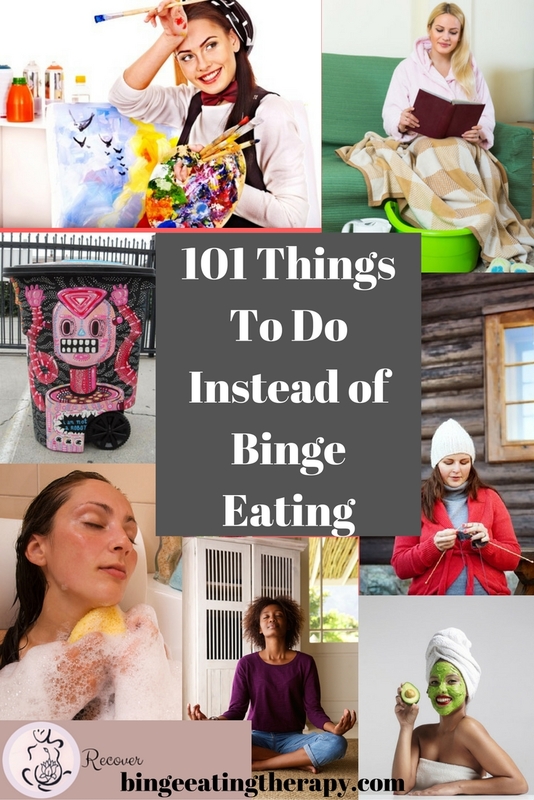 Here are 101 things that you can do instead of bingeing. And many of them don’t require deep introspection or recovery activities. They’re just straight up good healthy ways to distract yourself when you want to binge. Sometimes you might just be able to distract yourself right out of a binge. 1. Call a friend, your sponsor, a support person, anyone who you can talk to who will either get your mind off of food, or someone to talk to about whatever it is that you might be feeling. 2. Go for a nice long walk in the fresh air. Walking is both regulating and calming. It soothes your nervous system and helps to calm your mind and body. 3. Meditate! – Check out Insight timer for guided meditations or download the quit binge eating guided meditation session. 5. Give yourself a manicure/pedicure– can’t binge with wet nails. 6. Pet your cat or dog or rabbit or bird! Pets have been proven to calm down your mind and body. No pet? volunteer to walk dogs and pet cats at the local ASPCA. 7. Go to the movies if the food there is not a trigger. 8. Lay down and watch a heartwarming or funny movie on Netflix. Do something with your hands like beading or knitting while you’re watching to engage all your senses. 9. Take a shower, give yourself a hot oil treatment, shave your legs, tweeze your brows– self care time. 10. Get organized sort out your bills, create a budget– organize your home, your brain, your life! Often getting organized can help you feel more in control and enable you to thwart a binge, which can often feel very out of control. 11. Draw, paint or color. 14. Get out of your house and into your car, go to the beach, the lake, the park… somewhere pretty and relaxing. 15. Go through your closet and donate all clothes that are too big, too small, out of date or unworn. Keep the clothes that you feel good about yourself in. 17. Lay down somewhere relaxing and read a good book. 18. Put your headphones on, listen to a good podcast and get some cleaning in, you will feel so good afterwards! 19. Put on music and dance it out in your room! 21. Call your friends over and have a dance party. 22. Go to the gym. 23. Stretch, go to a yoga class, do a yoga DVD or an exercise or yoga class on youtube or Gaia. 24. Take a relaxing bath with nice bath salts or essential oils. 25. Write in your journal. 26. Move! Do jumping jacks, run in place, anything to move a little energy and release some tension and satisfy your sensory needs for movement. Often binge eating happens because you are looking for sensory input. Moving your body can satisfy this. 27. Scream into a pillow. The action of doing this will release endorphins and calm down anxiety in the same way that binge eating will. 29. Go to an OA or EDA meeting, either online, in person, or on the phone. 30. Go to Recover from Binge Eating’s private/secret Facebook group to talk with other people dealing with eating issues. 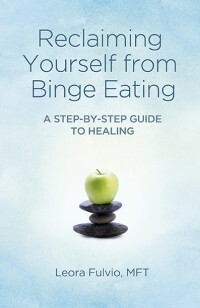 (email leora at bingeeatingtherapy [dot] com for an invitation). 31. Read a (non triggering) magazine – not a fashion or fitness magazine. 32. Document your recovery with your own recovery blog. You will help yourself while inspiring so many others! 33. Get on Pinterest and look up inspirational recovery quotes! 34. 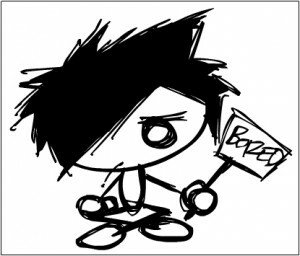 Read other people’s personal journey blogs about recovering from binge eating for inspiration! 36. Get your hair done or do your own hair. Experiment with different styles, curling iron, flat iron, curlers, etc. 37. Be an activist. Write emails, make phone calls, be the change you want to see in the world. 38. Get out into the world and take pictures of things you find interesting. Print them out, frame them, and decorate your house. 39. Pick up an instrument that you’ve always wanted to learn and teach yourself to play using a youtube video. 41. Play scrabble online or words with friends. 42. Cut up some lemons and limes and drop it in water and drink some. Staying hydrated will help you to not confuse your hunger and thirst signals. 43. Download MP3s and put an inspirational and soothing mix together for yourself. 44. Write and direct a short play with stuffed animals or Barbie dolls or action figures or your pets or sock puppets and videotape it to put on youtube. 46. Smell lavender. According to the University of Maryland Medical Center, lavender is able to calm and soothe, and it has sedative effects when it is inhaled. 47. Go somewhere to pick flowers. If you can’t pick flowers, go buy yourself a bouquet of flowers. You deserve it. 48. Do some gardening, either in your backyard or urban gardening. Playing with dirt is good for you! 49. Cut out old pictures or magazines to create an inspirational collage! 50. Go bowling/play ski ball/ go play miniature golf, play pool, play golf or miniature golf, play basketball, hit tennis balls, go to a batting cage. 51. Scrapbook It’s very calming and organizing of your brain and environment. 52. Write an angry letter to whomever you are holding anger at. You don’t have to send it, just let it out. Afterwards, put it somewhere safe. You might let go of some emotions that you’d been stuffing and you might find that you no longer have the urge to binge. 53. Go through old pictures of people, family, friends who make you feel good. 54. Cuddle with your boyfriend, girlfriend, husband, wife, daughter, son, cat, dog, teddy bear, etc. 56. Water your plants and then sit and talk to them. This is an amazing and healing practice. Talking through your pain is good for you and the carbon dioxide you emit from talking is good for the plants. If you don’t have any, go out and buy some plants! 57. Catch up on your shows– as long as television is not a binge trigger. 58. Make an instrument out of household objects and play it. 59. Take a shower and alternate between hot and cold water. Hydrotherapy is an old folk cure that is supposed to increase positive feelings, decrease anxiety and boost your immune system. 60. Tell the binge that you are stronger than it. You are stronger than the urge to binge. Just because you want to, doesn’t mean you have to. 61. Brush and floss your teeth– having a clean mouth will make you feel less like bingeing and this simple self-care ritual will help you feel loved and cared for. 62. Whittle! All you need is a stick and a knife. 63. Learn a new language! 64. Make a rubber band ball. Try to beat the guy who made the world’s largest rubberband ball. 65. Write a letter to someone you love either living or no longer alive- it could be your Mom, Dad, Grandma, Grandpa, dog, best friend, an old teacher. Whoever. 66. Write some notes with positive messages and post them around your home or get out of the house and put them up in dressing rooms, public restroom mirrors, restaurants, — help Operation Beautiful! 67. Make a list of why you rock. Think about what’s great about you. Can’t think of those things? Call someone who loves you and ask them to tell you. 68. Spin around in circles like a *Whirling Dervish. *Whirling Dervish (wurl-ing dur-vish) n. 1. A mystical dancer who stands between the material and cosmic worlds. His dance is part of a sacred ceremony in which the dervish rotates in a precise rhythm. He represents the earth revolving on its axis while orbiting the sun. The purpose of the ritual whirling is for the dervish to empty himself of all distracting thoughts, placing him in trance; released from his body he conquers dizziness. 69. Light scented candles and incense and relax. 70. Do something touristy in your own town. Nothing touristy there? Just go explore or look around at random parts you don’t spend much time at. 71. Call a friend or relative who has been unhappy lately and needing some support. 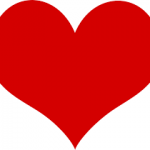 Sometimes giving support can be incredibly heartening and also supports the supporter. 72. Use crayons to color hard! This can release tension. 74. Search through your couch and house for change! Put everything you can in a jar and put it aside to start a fund for yourself as a motivator in your recovery. Every time you reach a milestone (ie: no bingeing or restricting for one week) you can buy yourself something fun, like a new pair of shoes, or some jewelry or new CD, or whatever you like within reason. 75. Write a long, heart wrenching letter and stick it in a bottle and send it off. 76. Roll on your back. This is a spinal massage that helps you to feel relaxed and rejuvenated. 77. Drink a glass of water. Sometimes hunger and thirst can be confused and a lot of people have trouble knowing the difference. A good thing to do when you are confused is to first drink a glass of water and then to wait 10 minutes or so and see if you are still hungry. Hunger is more of a belly growling, and distressed mood sort of feeling and thirst is more in the mouth– producing more saliva, feeling a little “dry,” and maybe even a little weak. Thirst doesn’t really feel very strong until you are dehydrated, so it’s okay to go ahead and have some water first. Sometimes people have sweetness cravings when they are actually thirsty! 80. Write out your intentions or personal goals for yourself for the week. Write out both long term and short term goals- things that you are striving for and ways to help you get there. 81. Throw a temper tantrum! Go into your bedroom, lay on your stomach in your bed and scream into your pillow while you kick your legs and punch your hands into the bed. Ever see kids do this? They expend all that energy and it moves right through them. As adults, we can’t really do this and lots of anger and pain winds up feeling stuck in the body. We often try to stuff that down with food and for some- purging or cutting. Let that anger out rather than taking it out on yourself. 82. Plan a party or get together or weekend trip with your friends. 83. Throw rocks into the ocean, into a lake, at a tree. Move energy through you, don’t stuff it down with food! 84. Put your pillow in a chair and imagine it is someone that you are angry at or have some unfinished business with and yell at it! Beat it up! It’s just a pillow. But the symbolic gesture will help you to feel some relief. This is commonly known in Gestalt Therapy as the Empty Chair technique. 85. Make jewelry out of household items or beads or coins. Let it be a representation and a reminder of your recovery. 86. Smell aromatherapy oils. Aromatherapy can be a fun way to complement recovery and to treat every day stresses. You can put them in a bath, you can put them in a diffuser or you can just smell them in a bottle. Lavender, Clary Sage, Vetiver, Citrus help with stress and Lavender, Marjoram, Orange and German and Roman chamomile can help you relax. 87. Paint your garbage can. It might seem like a weird idea, but check some of these out! 88. Make stuffed animals or throw pillows out of old clothing. 89. Give yourself an aromatherapy facial! 90. Make a mason jar photo gallery. 91. Do a good deed, like walking around your neighborhood and picking up trash, or recycling. 92. Teach yourself to juggle. 93. Go to the museum or the zoo. If it’s not the right time, go to an online museum and learn all about art. 95. Make a cootie catcher with positive messages inside. 96. Do a home makeover! Rearrange your furniture, get rid of things that you no longer want– sell them on eBay! Put up some curtains, just make things pretty for yourself. If you don’t have the money, go to Goodwill and find some vases or mason jars and throw some fresh picked flowers and just spruce up your environment. You will feel so much better. 97. Do online crossword puzzles or sudoku or boggle. 100. Fight Procrastination! Sit down and write that novel, short story, or poetry that you’ve been talking about. Do homework, write that paper you’ve been putting off, work on your dissertation… whatever it is that you’ve been putting off. Use the time that you would normally be bingeing to do it! 101. Take a deep breath into your belly and remind yourself that you are perfect, whole and complete exactly the way you are.